Why have we set up the Arlington House blog? On Wednesday the 14th of June 2011, Thanet District Council’s Planning Committee referred the application to build a Supermarket Superstore of 7500m2 at Arlington House and Arlington Square to the Secretary of State with a recommendation for approval. The Committee were deadlocked with a vote of 7 for approval and 7 for refusal. The Chairman, Independent Councillor Jack Cohen cast the deciding vote to approve the application. The decision depended on 1 vote. The decision now rests with Rt Hon Eric Pickles MP, Secretary of State for Communities and Government. This blog has been set up to publish information on the history or Arlington House and Arlington Square. It is a prominent seafront building in Margate. 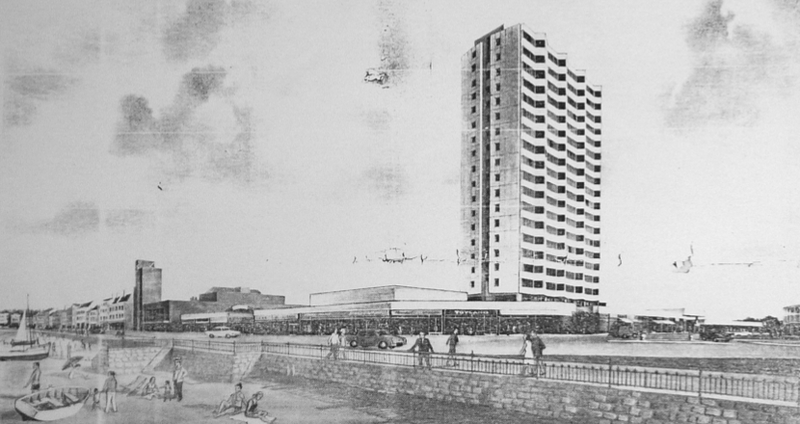 Our aim is to build an archive of past, present and future of Arlington and its role at the centre of Margate. No matter what technicality the authorities claim that this is a site on the outskirts. Anyone coming in to Margate knows that this is at the heart of the town. If you fancy some initial further reading, you could do worse than download and peruse the ARLINGTON PLANNING BRIEF, which was adopted by Full Council in 2008 and is the basis on how schemes for the Arlington site should be based on. You can then judge for yourself if you think this latest proposal of building of a huge 24 hour superstore fits with this http://www.ukplanning.com/ enter the reference F/TH/10/1061 . This entry was posted in Planning and tagged Arlington Planning Brief, Cllr Jack Cohen, Eric Pickles MP, planning, Thanet District Council by arlingtonhsmarg. Bookmark the permalink.